In Missouri, the affidavit of heirship and the small estate affidavit essentially work the same way, and cover real estate. 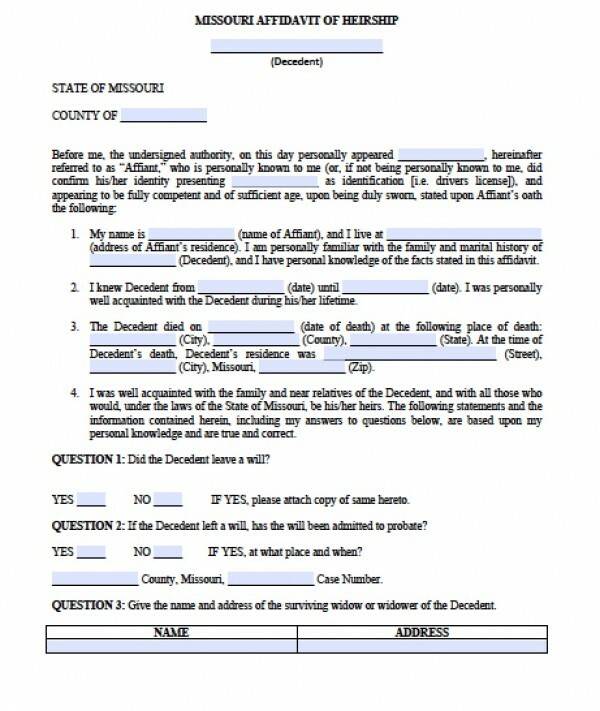 In other states, the affidavit of heirship covers personal property such as vehicles or bank accounts, but in Missouri, the successors must also file a document called the Determination of Heirship to claim personal property. 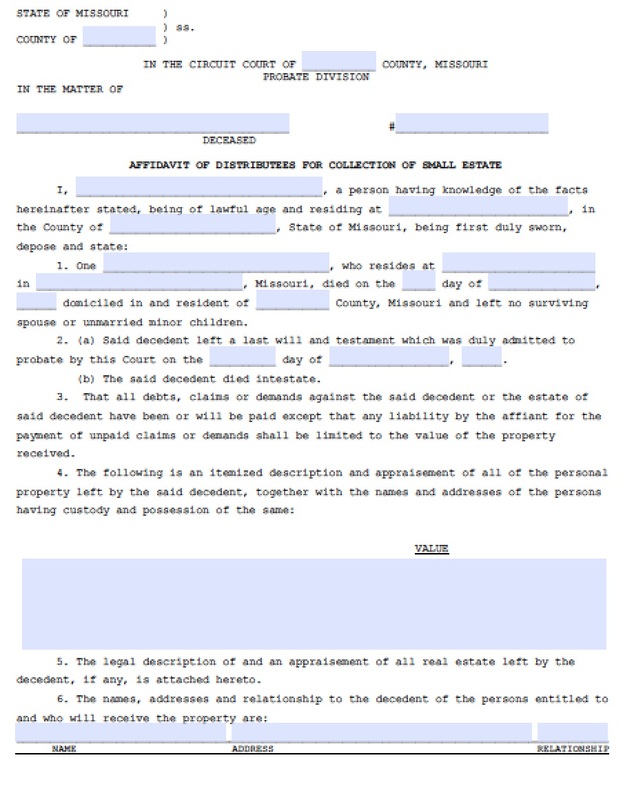 Missouri Revised Statutes Section 473.097.1 state that the deceased must have been dead for 1 year or more, and the total estate may not exceed $40,000.